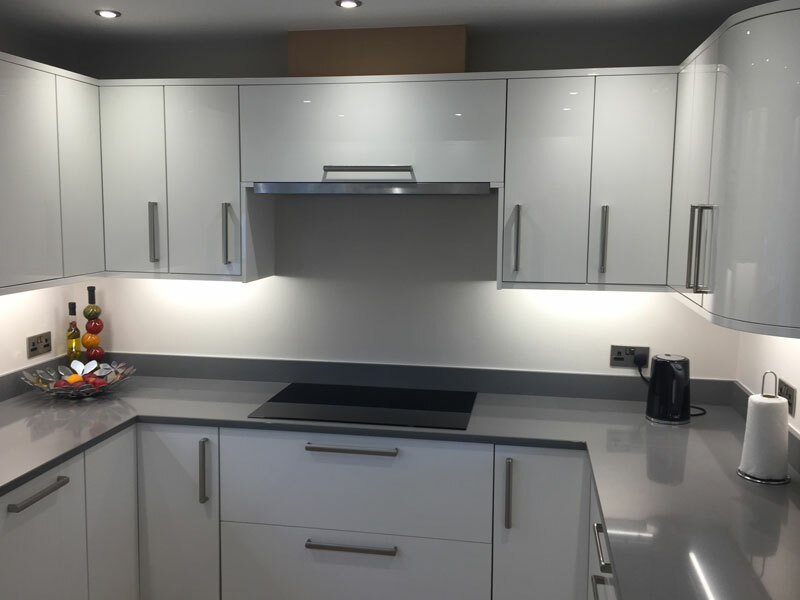 “We loved working with KB on our new kitchen! 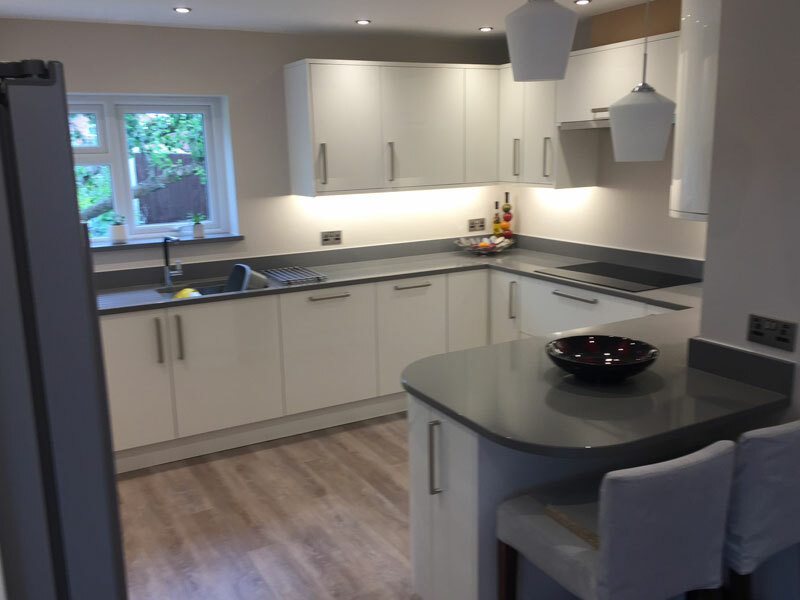 This beautiful kitchen was installed into a newly plastered and modified room. 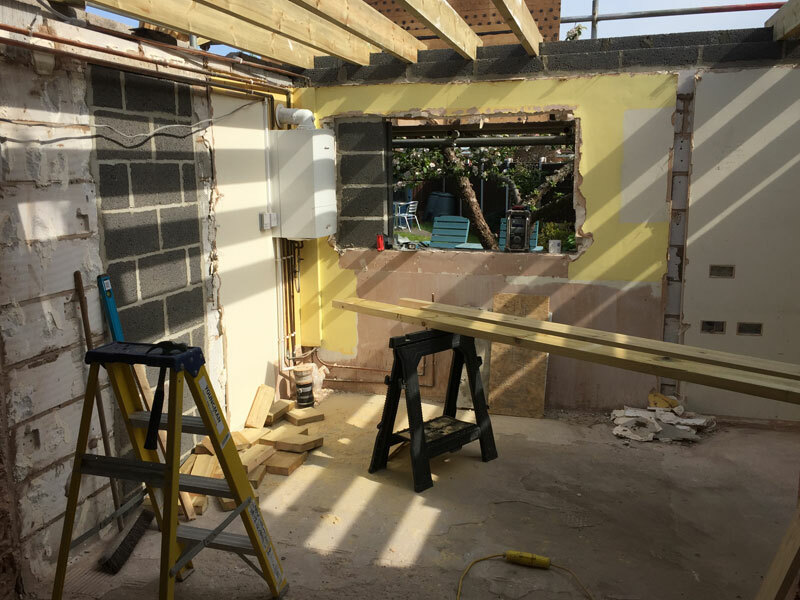 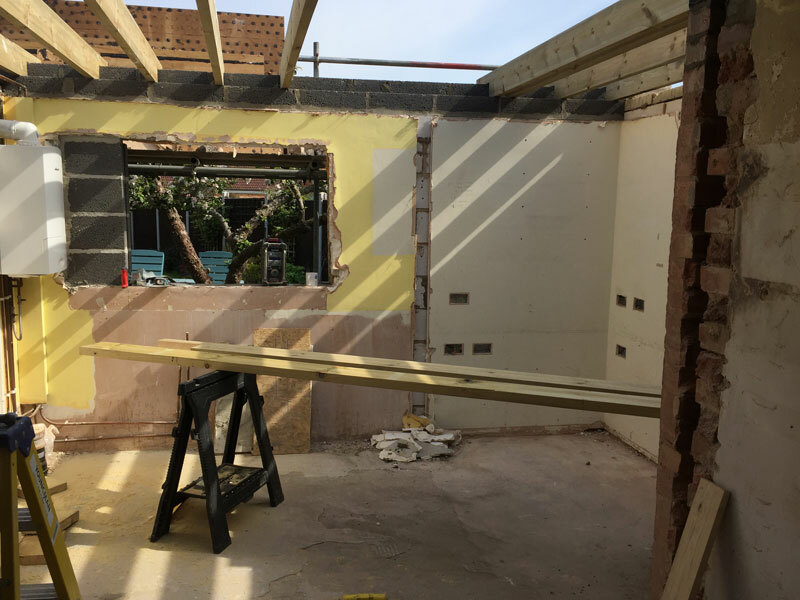 We removed multipal internal walls and the existing kitchen then the kitchen was completed with new french doors leading to the garden and velux windows to capture all the light. 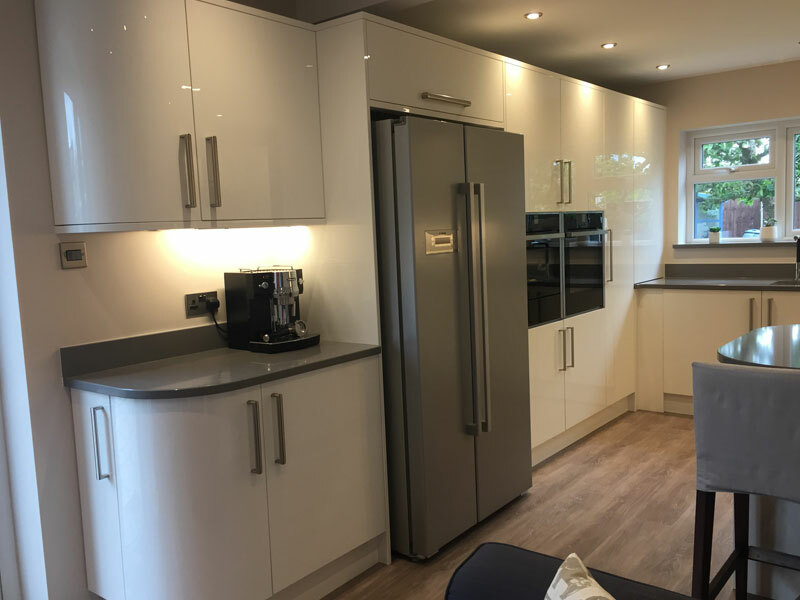 This stunning kitchen was finished in a white gloss and completed with modern appliances and kitchen accessories making it the perfect entertaining and family area. 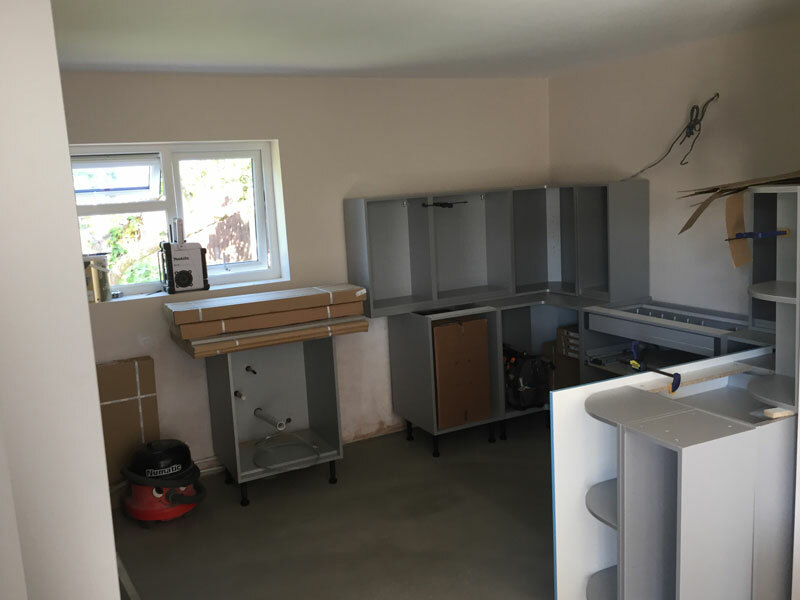 The installation process was smooth and uncomplicated. 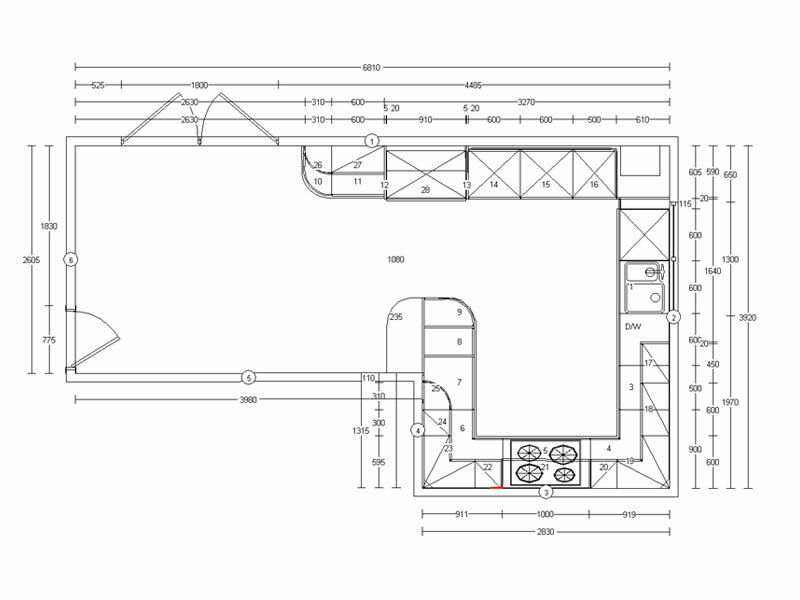 The image was the plan image used in the design and build and shows the area in 2D. 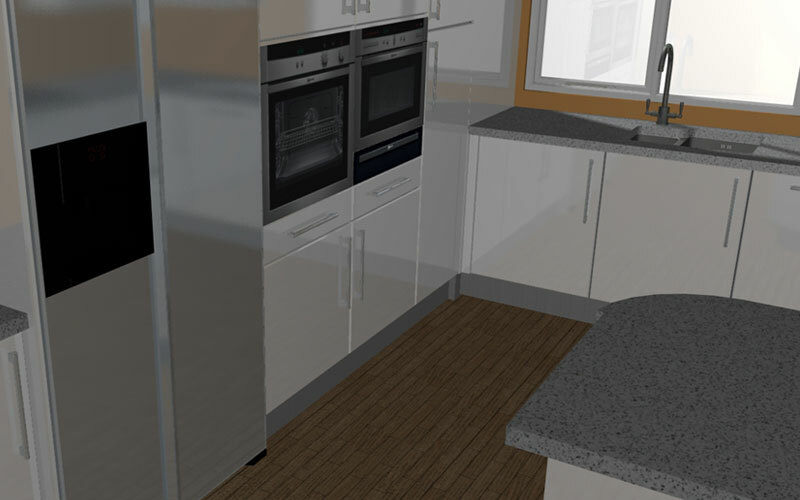 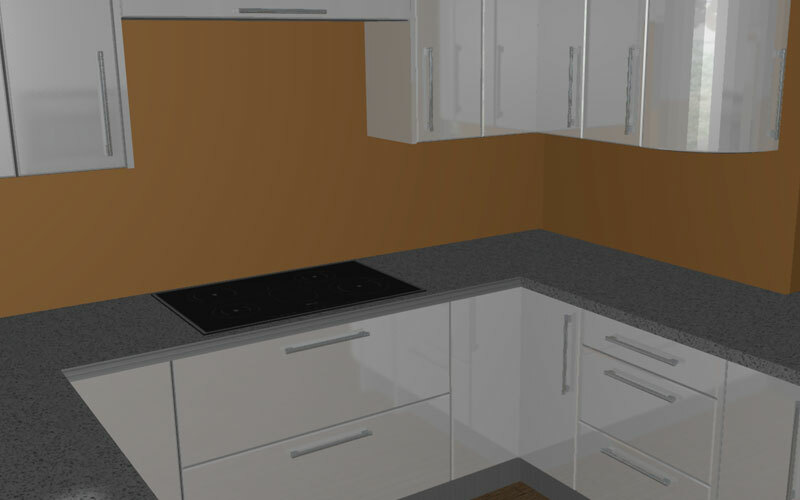 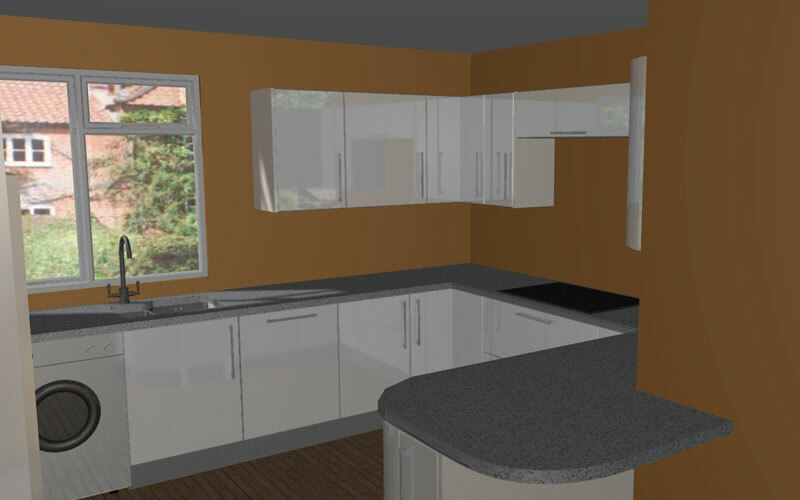 The images below show the kitchen in 3D produced via our kitchen design software to enhance the customers view of what the finished kitchen will look like.